Depending what type of Cat GRADE is on the machine, the operator may get visual guidance – showing where to cut and fill—or bucket/blade movement may actually be controlled electronically. Some even feature automated sequences. Cat LINK includes Product Link™ hardware and VisionLink® software. 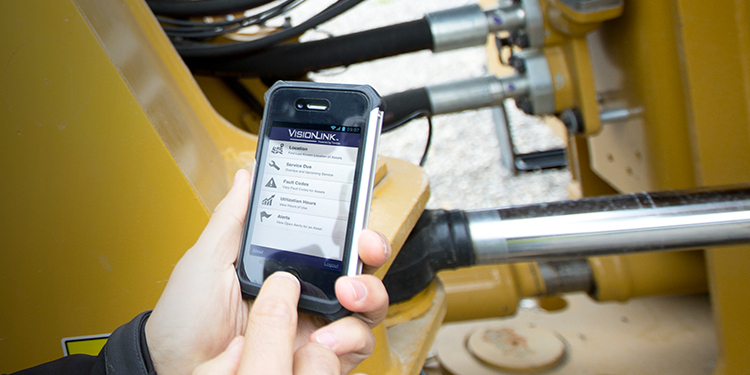 They track working time, idle time, fuel usage, machine location and other critical factors, providing valuable data for operators and equipment managers. Read more about Link benefits and options. The system automatically adjusts engine speed up or down based on the work being done with the touch of a button. As soon as the engine is turned on, auto idle is activated. This feature waits in the background while the operator works, then automatically reduces engine speed when it senses no activity from the controls for several seconds. Auto-dig, doze and carry, Cat PAYLOAD, Cat COMPACT, and seat belt and tire monitoring systems … don’t miss the innovation in Cat machines you can rent today.